Aussie Japanophiles rejoice! Thanks to the Japan Music Festival, you can experience live J-Pop, J-Rock and J-Alt bands in your very own capital city (if you live in NSW, VIC or QLD). If there's one thing that fans of Japanese pop-culture are desperately lacking it's access to Japanese music. Buying CD's from Japan is prohibitively expensive and there's hardly anything available on iTunes but now there is a third and infinitely more exciting option: live music. Japan Music Festival promises to bring the best of Japan's underground nightlife to Australian shores. 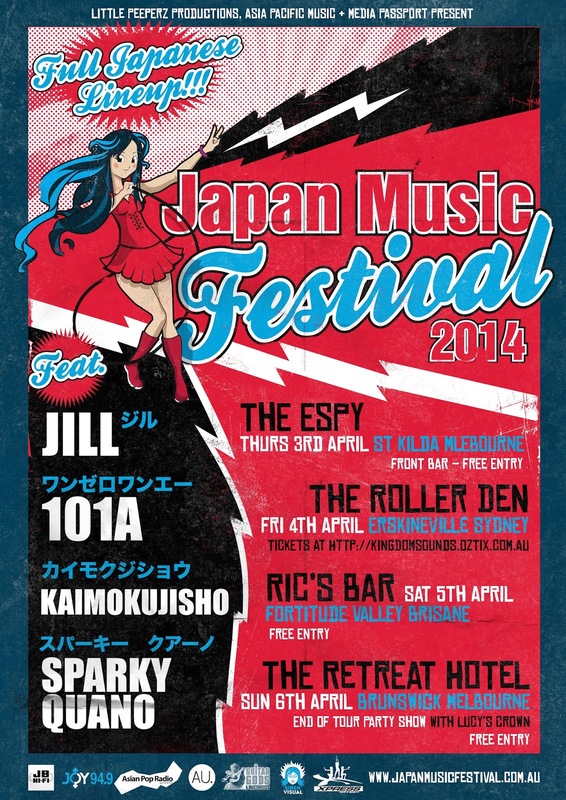 Australia gets its first Japanese Music Festival! Direct from Japan - this is the first in what will be an annual event featuring the very best of Tokyo's alternative nightlife and culture right here in Australia! From April 1st to the 6th Melbourne, Sydney and Brisbane will play host to four of Japan's most revered live J-Pop, J-Rock and J-Alt bands. Called very appropriately, JAPAN MUSIC FESTIVAL, it features in-store appearances/instrument demonstrations at selected JB Hi-Fi stores and a show in each of the above-mentioned cities. Aussie music fans can now experience a small part of Japan's vibrant underground music scene! Promoter Sonny King said "Having been to Japan three times myself and played at a music festival over there, I realized that it's time for Australia to see some of the great stuff coming out of Japan." King, himself the bass player in Melbourne rock band Lucy's Crown, is working with Japanese companies both here and in Japan to ensure this will be the premier Japanese Music Concert Experience for Japanese bands and Australian fans this year and in the future. Eri is the singer and writer for this immensely popular band in the live circuit. She has a lifelong passion for the typical Japanese pop/rock anime music which is becoming more popular throughout the world. 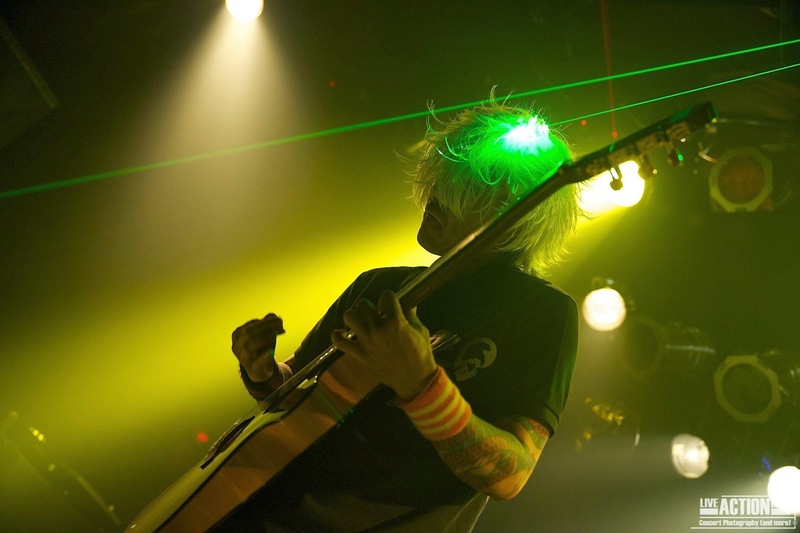 The band take pride in writing original music but also include some of the more popular anime covers at their live show. From high energy pop to lyrical ballads, Eri delivers her delicious vocals that you will not forget. 101A cross Grunge, Shoe-gaze and Industrial genres. 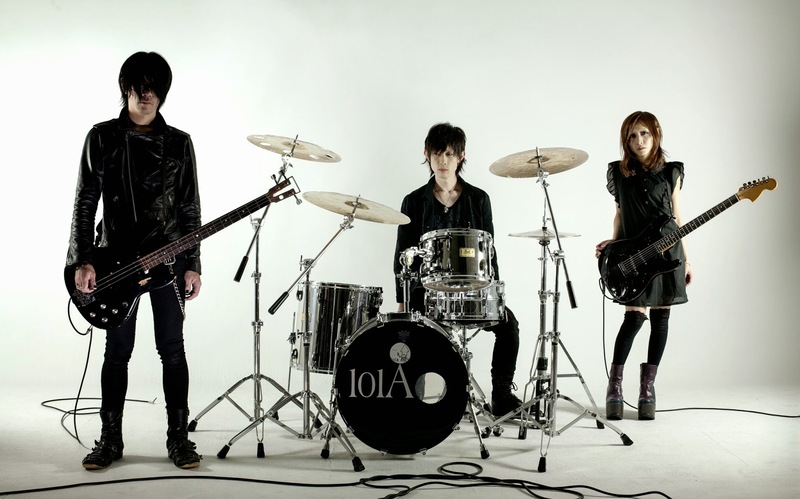 Their sound is characterized by rough, heavily distorted instruments overlaid with delicate, melodic female vocals. They have written songs in a variety of styles; soft, melodic, cinematic pieces, bright, energetic, beat-driven instrumentals, sharp but brooding sounds paired with screaming vocals and gentle, expansive, uplifting ballads, each song conjuring a new scene, demonstrating the band’s unique style and striking individuality. A solo guitarist with a whole slew of pedals, Sparky creates everything including rhythm tracks and percussion from a single guitar. His instrumental rock pieces are haunting and progressive with occasional ghostly whispers, evoking images of intergalactic travel. His hands play percussively like a piano, churning out tribal beats and space-rock on a level never seen before. An intense sound akin to the 90’s rock pioneers Korn and The Deftones, Kaimokujishō have garnered a reputation on the Japanese live circuit as ‘Line-up destroyers’ because they have the uncanny knack of blowing the rest of the bands off stage regardless of their genre. 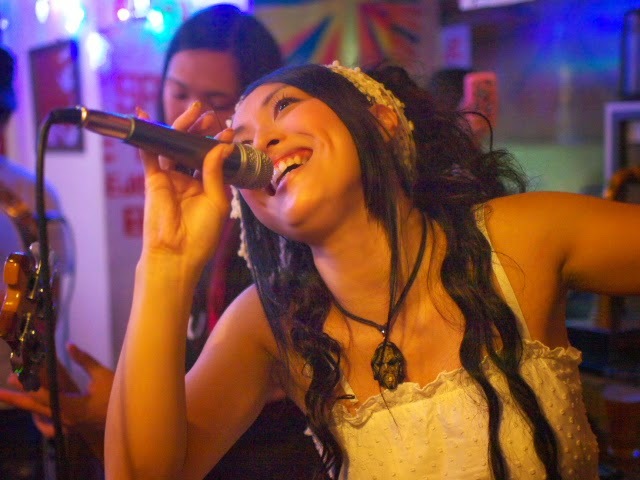 Vocalist Natsumi’s almost improbable vocal range sails over an organic drum sound which in turn contrasts the nimble fingered guitarist, the resulting total of which is sonic overload on a grand scale.